Recognize all the children and grandchildren with the Gumdrop mother's bracelet. 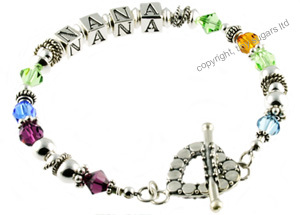 The personalized Gumdrop mothers bracelet features handcrafted Bali style accents. bracelet and the number of letters in your design.